For MSDS SDS of Relative Permeability Modifier and Water Shut-Off, Aqua Control Manufacturers Please write to us. AquaCONTROL is comprised of polyacrylamide polymer crosslinked with chromium. The acrylamide polymer/chromium gel system has proved to be particularly robust as a matrix shut-off system and has been used extensively for both water and gas shut-off. 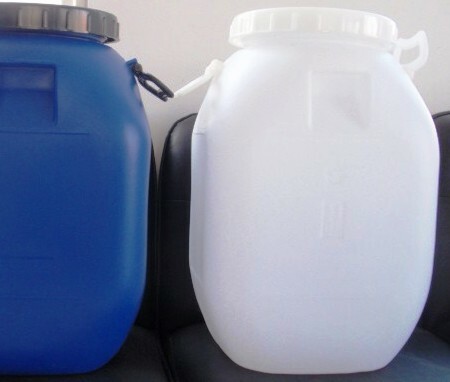 The system itself comprises a 4-6% by weight solution of polymer in water. The make-up water is usually seawater in coastal or offshore operations, or freshwater onshore. Simple salt may be added to the make-up water if increase density is required. Chromium (III) in the form of chromium acetate is added to this polymer solution to give a polymer: chromium ratio of 40-60:1 by weight. The resulting “gelant” mixture, which has an initial viscosity of 15-40 cP, sets with time and elevate temperature to form a solid “ringing” gel. Gel is formed when anionic carboxylate group on the polyacylamide backbone react with cationic chromium (III) species in aqueous solution to form a crosslinked gel system. 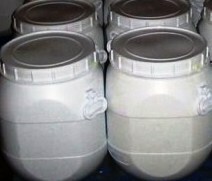 The upper temperature limit for polyacrylamide/chromium gel system is around 250°F. The bottle tests should be performed to optimize the polymer and crosslinker concentrations to achieve desired gelation time. The gelation time will determine the injection period and how deep into the formation gel fluid can be placed. Crosslinker: 550 pound drums or 55 pound plastic pails. 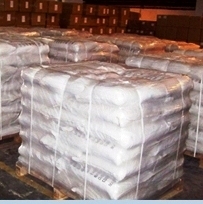 Polymer: 55 pound multiwall bags or 1100 pound big bags.